Designed to reach a new generation of young people, books in the Fresh Resource Series speak to teenage Christians in a language they can understand. These targeted Bible studies are fresh! Written in relevant language and addressing issues today's teens face, they are perfect for use in a small-group setting. FreshResource Bible studies direct students to relevant Scripture passages to enable them to develop and deepen a personal relationship with Jesus Christ. Paperback. 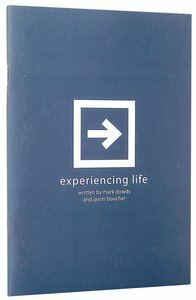 "Experiencing Life" offers biblical examples of some of the harder situations teens might face and gives them the knowledge needed to persevere in the face of peer pressure and uncertainty. Useful as a discussion tool in small groups, this Bible study covers issues of loving, giving, and serving, which manifest in everyday life. Experiencing life offers biblical examples of some of the harder situations students might face and gives them the courage to persevere in the face of peer pressure and uncertainty.